The Mid Atlantic .90 Association announced it’s 2019 schedule a few weeks back. The series, which features all the .90 classes of the NHRA, will once again run a 5 weekend / 10 race schedule for those who would like some extra seat time from the time off from the Lucas Oil D1 events. The series will kick off at Atco Dragway on April 27th & 28th, which will be a great Test & Tune for racers now that Virginia has moved to October. The following weekend is the PC Richards Open event also being held at Atco so racers will be able to leave their trailers at the track in a designated area. The next event will be the Inaugural North vs. South .90 Shootout held at Numidia Dragway on June 15th & 16th. This will be an event that will feature not only a points earning event for the .90 association but, a battle to see who’s the best of the best as we split the Northeast and run for bragging rights to see who’s the best .90 racer in the North or the South. This event will also be held the weekend after the Lucas Race at Numidia and racers may leave their trailers at the track for this weekend. A track operated T&T will be held on Friday the 14th from 10am to 3pm followed by a trip for the family to Knoebels Amusement Park. Next up, is the granddaddy of them all the 26th Annual “Uncle Buck” Pig Roast to be held at Cecil County Dragway on July 13th & 14th. This event is in honor of Ronnie Harple the longtime crew chief for George Donhauser and is an event that is the series version of Indy. 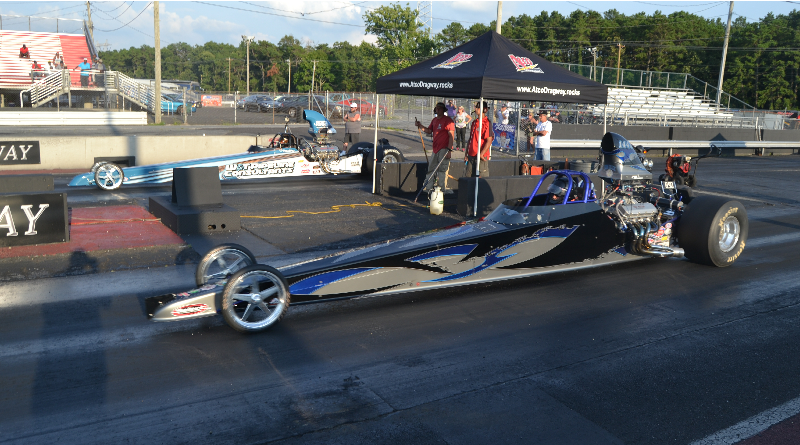 The next to last event will be held at Atco Dragway the weekend before the Lucas Oil D1 Race on July 27th & 28th. This event will be presented by Zep Products and run in conjunction with the East Coast Stock / SS Series for the feel of a Junior Divisional Event. The series wraps it all up and crowns the 2019 Champions at Cecil County Dragway on September 21st & 22nd for the season finale. You can find out more info on the website – www.midatlantic90.org or look them up on Facebook or Instagram. For more Super Series racing news, click here.